Thank you to Dr Daithí Kearney for allowing us to reproduce his work on our site. Altho’ overlooked by both Bunting and Petrie in their great collections, there can be no question of the antiquity of “Youghal Harbour” which by name and strain is still remembered in the south of Ireland. O’Neill notes adaptations of the air by others but today the air in question is known mostly as that to which the popular Wexford ballad ‘Boolavogue’ is sung. More specific reference to historical musical activities in Youghal is presented by academic Barra Boydell, who notes the interest of Richard Boyle, first Earl of Cork, in music, arts and crafts. In 1602, Boyle bought the Munster estates of Sir Walter Raleigh and Boydell notes: “any musicians casually employed by Boyle would most likely have lived in Youghal”. Boyle owned an Irish harp and presented one as a gift on at least one occasion. Harpers mentioned in records include Donnel Duff O Cahill, harper to Anne of Denmark, King James I’s queen, who is acknowledged as acting as a messenger between 1614 and 1616. Boydell notes: “As well as recalling the traditional role in Gaelic society of harpers acting as messengers, these references reflect the interest in the Irish harp among non-Gaelic communities in the early seventeenth century, an interest which is documented not only in England but also on the Continent”. It is also noted that Boyle lent his harp to the blind harper William Barry. 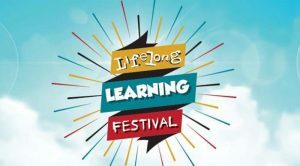 Amongst the Irish speaking communities of the area, music and poetry were treasured and the communities were creative in their musical expression. The town of Youghal is located near the poetry courts of Sliabh gCua and Ballykineally, while the nearby Gaeltacht of An Rinn continues to nurture a sean-nós singing tradition. In Our Musical Heritage (1962), Ó Riada made mention of the wonderful singers of the Déise and of the area around Ballymacoda. Such strength in Gaelic heritage is in contrast to the image of the area as the land of the planter. It is an area that Daniel Corkery identified as part of “the hidden Ireland”. Writing about literature in Cork, Mary Leland recognises the area around Carrigtwohill as the birthplace of Dáibhí Ó Bruadair (c. 1625-98) and Dáibhí de Barra (1757-1851), Dungourney as the homeplace of Eamonn de Bháill a contemporary of Seán Clárach Mac Domhnall (1691-1754), while Limerick born poet Tadhg Gaelach Ó Suilleabháin spent much of his life in East Cork before moving to Dungarvan, Co. Waterford, where he died. Leland also makes reference to Piaras Mac Gearailt (1700-1791) and Pádraig Piaras Ó Condúin (1777-1856) from Ballykineally and Ballymacoda respectively. Many of these poets reflected the dying web of bardic patronage that was at its peak from 1200-1600. Corkery identifies the poet Piaras Mac Gearailt (1702-1795) or Pierce Fitzgerald, as an important literary figure in ‘Gaelic Ireland’. Mac Gearailt signed himself as Áird-Shirriam Leatha Mogha, taken by Corkery to mean the Chief Poet of Munster! Fitzgerald, in an effort to keep his lands under the Penal Laws became a Protestant at Kilcredan Church, an act that was to cause him some distress. In defiance of English culture, Corkery tells us that he would gather singers from both sides of the Blackwater to his house in Ballykineally twice in the year; and for fifty years he is thought to have presided over these meetings. Though he died in Clashmore on the Waterford side of the river, his body was returned for burial in Ballymacoda. His most famous song is undoubtedly Rosc Catha na Mumhan, The Munster War Song written around 1780. Imagining a sea fleet of a great Prince coming to help, Mac Gearailt calls to the clansmen of the Gael to unite, shake off their bonds, and strike for freedom. In 1927, Máiréad Ní Annagáin, a native of west Waterford, and Séamus Clandillon, the first director of broadcasting at 2RN, published a collection of songs, Londubh an Chairn, that reflect on the singing traditions of the area, including songs that make reference to places such as Youghal, Ballymacoda and the Blackwater River. In her introduction she reflects on the large number of singers from Ballymacoda who competed at the Oireachtas in Dungarvan in 1917. The Palatines were planters brought from the Rhine Provinces of Germany to West Limerick about 1725. They seldom mixed with the ‘Irish’ and retained resolutely their Germanic facial features. Reference to Youghal also appears in the song ‘My Bonnie Blue Eyed Lassie’. Another love song in which a man sings of his desires to wed a particular girl and though “Brightly swims the swan in the broad streams of Youghal”, the love between them is far deeper. Writing in Treoir, Séamus MacMathúna notes: “I distinctly remember Seamus Ennis (S .S.D.A.) singing Eochaill”, which rhymed well with the following line, “all for to behold her”. Another song of interest refers to the hospitality and musicality of Ballymacoda, near Youghal. Torramh an bharaille (The wake of the Barrell) is full of humour and also features in Tomás Ó Canainn’s Songs of Cork. Written by Pádraig Phiarias Ó Chundún (1777-1857), a farmer from near Ballymacoda who emigrated to the USA around 1826 with his wife and young family. Cundún never became fluent in English but he continued to write poems and songs which were circulated in Ireland in manuscript form”. His songs and poems reflect events and places. In ‘Tórramh an Bharaille’ (1819) he tells of the generosity of the people of Ballymacoda; that the people of these parts will drink ale or sherry but never drink soda and there’s always a meal on the table for a visitor or weary traveller. Another humerous song in this collection, popularised by Jimmy Crowley, is ‘Johnny Jump Up’, written by Tadgh Jordan of Cork. It refers to a type of cider, more potent than intended, following fermentation in old whiskey barrels and makes mention of The Railway Bar in Youghal. Ardmore is a beautiful village a few miles from Youghal. It is here that one finds one of the earliest sculpted representations of the harp, carved into the wall of the cathedral in a frieze depicting the biblical story of King Solomon and the baby. The proximity of Ardmore is reflected in the great local love song ‘Idir Ard Mhóir is Eochaill’, which was recorded by the Nioclás Ó Tóibín on Rinn na Gael and which more recently featured on the album All things considered by the band Danú and sung by Ciarán Ó Gealbháin of An Rinn. The opening lines echo the opening of the song ‘Eochaill’, as the poet wanders the road between Ardmore and Youghal when he meets a beautiful young girl from Youghal who he hopes to marry. 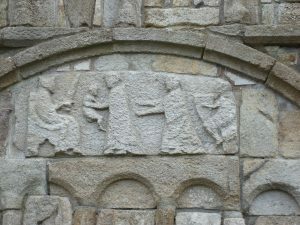 Plate 1 Frieze on cathedral in Ardmore, Co. Waterford. Source: Author, 22nd February 2009. A number of tunes associated with Youghal and its hinterland may be found in the nineteenth century collections of O’Farrell and Goodman. Farrell, a piper, is believed to have been from over the border in South Tipperary and has included a number of tunes that reference East Cork and Waterford. Published by him in London in 1810, local folklore suggests the Youghal Waltz is amongst the oldest waltzes in the Irish tradition. Canon James Goodman (1828-1896) from Dingle who later lived in Skibereen in West Cork and was a Professor of Irish at Trinity College, Dublin, also collected music in the 1800s, published much more recently as Tunes of the Munster Pipers. Amongst the tunes are a hornpipe entitled ‘Youghal Harbour’, a reel entitled ‘The Cork Lasses’ and a slip jig entitled ‘The High Road to Cork’. Amongst Irish tune names, Kitty is a recurring character and ‘Kitty’s Rambles to Youghal’ is another tune found in the Goodman collection. A notable musician from Youghal is Séamus Ó Mathúna (Jimmy Mahony), a fiddle player who played in The All-Ireland Trio with uilleann piper, Leo Rowsome (1903-1970) and flute player Neilius Ó Cróinín (d. 1930). Rowsome is a very high-profile figure in Irish traditional music. Belonging to the third generation of a family of pipers, Rowsome reinitiated the Dublin Pipers’ Club in 1936 and was its first president. He was also one of the founders of Cumann Ceoltóirí Éireann in 1950 and was central to the organisation in 1951 of the gathering at Mullingar that led to the formation of Comhaltas Ceoltóirí Éireann. 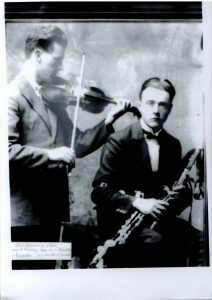 Leo Rowsome (uilleann pipes) and Séamus MacMathúna (fiddle) taken at Feis Gharmann, Wexford in 1929. Source: Nicholas McAuliffe, private collection. Comhaltas Ceoltóirí Éireann took time to become established in Youghal. A note in Treoir from 1972 states: “Killeagh and Midleton Branches, with the assistance of Craobh Dungarbhan, now organise regular Oicheanta Cheoil in Youghal”. A branch of Comhaltas Ceoltóirí Éireann was established in Youghal in the early 1980s. The three people who came to the first meeting were Dónal Brookes, a fiddle player from Ennis, Co. Clare; Mary Daly from County Offaly, who was one of the leading traditional players in the area and who played a lot in County Waterford; and Nicholas Larkin from Galway, who was very involved in CCÉ in England when he was there. Early on, set dancing classes were organised by the branch. Later tin whistle classes were taught by two nuns in the presentation convent. At the time Micheál Ó Lochlainn was chairman of Cork County Board and now he was very helpful. Marching Bands and later opportunities to perform for tourists heightened awareness of CCÉ in the town and surrounding areas. For many years, Mícheál de Buitléir has served as chairman of the branch in Youghal. The performing group, Ceolta Sí, perform regularly in Youghal and have performed in places as diverse as Mexico and China. A purpose built training and performance centre, Brú na Sí, was completed in 2005 and is situated between the town walls of Youghal and the site of an ancient Celtic settlement. Some of the richness of Irish traditional music is found in its local voice and connection to places. Youghal in the present, with a Teach Cheoil, thriving branch of Comhaltas Ceoltóirí Éireann, and a Pipe Band that has over a century of music-making behind it, indicates the continuing richness of the musical heritage of Youghal. It reflects the creativity of the people and imbues the place with culture. Long may it continue.